Commercial Real Estate Remains Soft But Favors Business Expansion The National Association of Realtors is reporting that the commercial real estate sectors including Multifamily continue to be hurt by weak job growth, but are offering incentives in many areas that are conducive to business expansion. NAR’s chief economist Lawrence Yun says fallout from the recession continues to impact commercial real estate. Vacancy rates are beginning to level off in some sectors, but rent discounts and moderate levels of landlord concessions are widespread, he said. Commercial real estate development remains stagnant in all regions with low investment activity; 88 percent of respondents said it is virtually nonexistent in their markets, but development acquisitions are beginning to grow in many areas in what is described as a buyer’s market. Looking at the overall market, vacancy rates will shift modestly in the coming year according to NAR’s latest COMMERCIAL REAL ESTATE OUTLOOK. 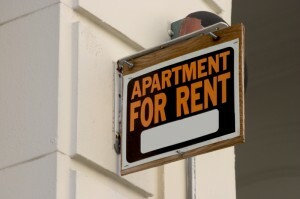 Multifamily Markets The apartment rental market ” multifamily housing ” is benefiting from modestly higher demand. Multifamily vacancy rates are likely to decline from 6.0 percent in the second quarter of this year to 5.6 percent in the second quarter of 2011. Areas with the lowest multifamily vacancy rates in the second quarter include San Jose, Calif.; Pittsburgh; and Philadelphia, with vacancies of less than 4 percent. With additions from new construction, average rent should slip 0.6 percent in 2010, and then hold even in 2011. Multifamily net absorption is expected to be 105,200 units in 59 tracked metro areas this year, and another 138,000 in 2011. The COMMERCIAL REAL ESTATE OUTLOOK is published by the NAR Research Division for the commercial community. The next commercial real estate forecast and quarterly market report will be released on November 29. The National Association of Realtors,The Voice for Real Estate, is America’s largest trade association, representing 1.1 million members involved in all aspects of the residential and commercial real estate industries. See posts on Real Estate Financing.